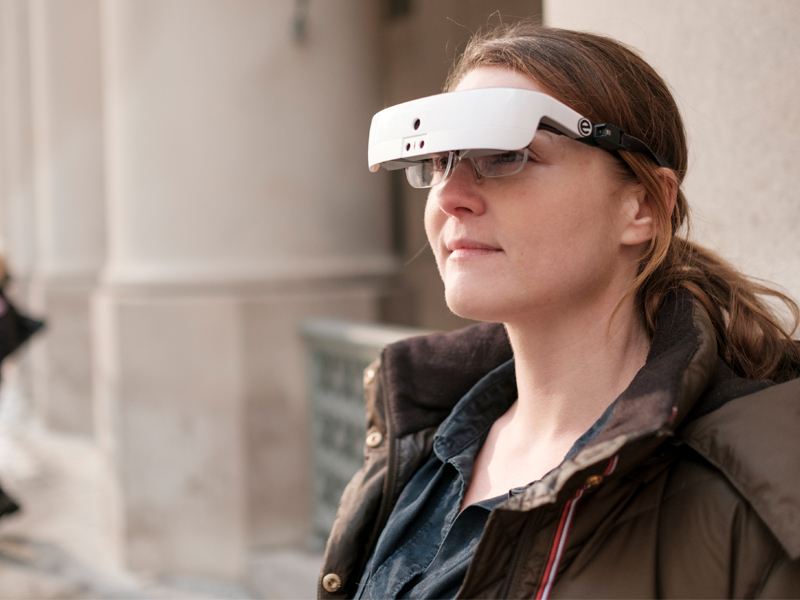 Developed by an Ontario company, eSight glasses have the potential to help hundreds of thousands of Canadians with severe vision impairment to see better in daily life. The glasses use a real-time camera-to-screen set-up and look much like today’s virtual reality headsets, except they do much more. For eSight Business Development and Outreach Manager David Demers, the glasses improved his vision from 20/1000 — legally blind — to well within a healthy range at 20/40. He explains that the glasses work through a sophisticated onboard computer that analyzes real-time images gathered by a camera located just above the nose. The computer then adjusts the image for brightness, contrast, colour enhancement, and more. At the same time, the wearer can fine tune the zoom, contrast, and intensity of light to sharpen the image in front of their eyes. David himself has become a devoted wearer of the eSight glasses for everything from working at a computer to enjoying the theatre. However, the company learned that not all wearers use the glasses for long-term, everyday use despite their benefits. Marie-Céline Lorenzini, a PhD student from the Université de Montréal’s School of Optometry, is determined to find out why. 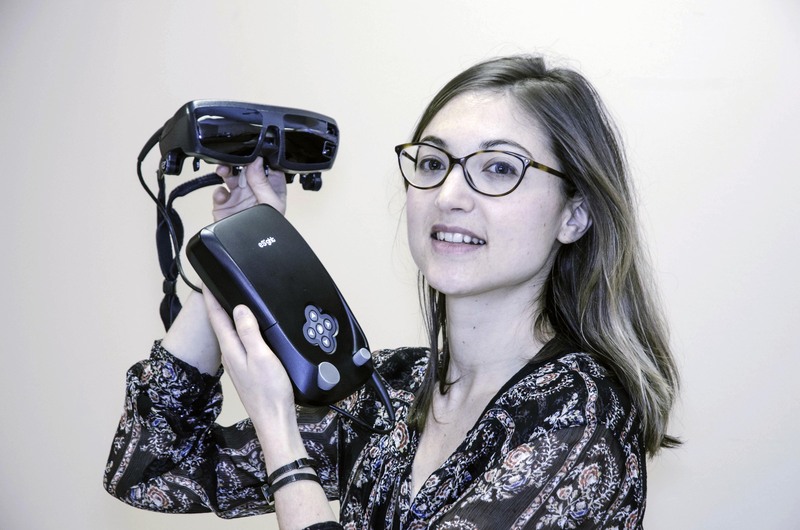 Supported by a Mitacs’ internship, Marie-Céline is conducting a two-year study that will help to determine what factors influence whether or not a wearer is successful at using the glasses for a variety of daily tasks. From her findings, she will develop a training program that medical personnel including rehabilitation therapists can conduct to assist new wearers as they learn to use the eSight glasses in a variety of situations. David explains the impact of the futuristic glasses: “Right now, we say that people with low vision have ‘islands of accessibility.’ Maybe they can work at their desk with help from an assistive device, but then they can’t go to the library to use a computer because it’s not accessible. With eSight, we’re moving beyond accessibility into an environment of inclusion. Now the wearer can fully participate without worrying if the room they’re in has accessible features installed. “As eSight expands to global markets, a well-structured clinical process will be critical to ensure the highest benefit for the most people. Thus far, much of the training for early users of the technology has been done by eSight staff,” says Rob Hilkes, eSight’s Vice President of Clinical and Regulatory Affairs.